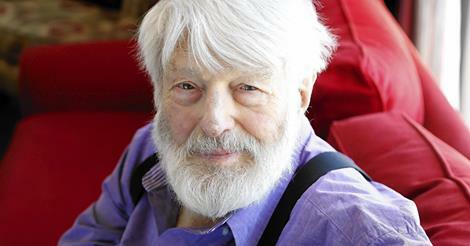 Forgotten Hollywood » Blog Archive » “Forgotten Hollywood”- Theo Bikel Still Performing at 90! “Forgotten Hollywood”- Theo Bikel Still Performing at 90! Bikel became interested in folk music when he was in London and embraced American folk music upon his arrival in New York in 1954 for the Broadway play Tonight in Samarkand. He began a recording career as a folk music artist in 1955, and co-founded the Newport Folk Festival with Pete Seeger. Richard Rodgers and Oscar Hammerstein even wrote the beloved folk song Edelweiss for Bikel to perform as Captain Von Trapp in the original 1959 Broadway production of The Sound of Music. It was Hammerstein’s last composition before he died. The star is also featured in a new documentary, Theodore Bikel: In the Shoes of Sholom Aleichem, based on his one-man show, Sholom Aleichem: Laughter Through Tears. It premieres in July at the San Francisco Jewish Film Festival. Bikel’s storied career began when Laurence Olivier cast the young actor in a small role of the 1949 London production of A Streetcar Named Desire. Theo had recently graduated London’s Royal Academy of Dramatic Art when Michael Redgrave recommended him to Olivier. The play starred his wife, Vivien Leigh, who would win an Oscar for her performance as Blanche DuBois in the motion picture just two years later. Bikel would also understudy the key roles of Stanley and Mitch. Later, he graduated to Mitch when the Tennessee Williams play went on tour. When he finished his engagement with Streetcar, Bikel starred in Peter Ustinov’s hit London play The Love of Four Colonels, where he caught the eye of another famous director, John Huston, who was in town to complete production on his 1951 classic The African Queen, starring Humphrey Bogart and Katharine Hepburn. Huston was interested in Bikel for the role of the German gunboat captain. Bikel’s been a mainstay in films, most notably in his Oscar-nominated role as a Southern sheriff in 1958’s The Defiant Ones, and as Zoltan Karpathy in the Academy Award-winning 1964 musical, My Fair Lady — as well as television (Falcon Crest, Murder, She Wrote) and of course the stage as an actor and singer. One of his favorite parts was as Tevye on stage in Fiddler on the Roof, which he’s performed over 2000 times. I met Theodore Bikel two year’s ago, and I’m proud he owns a personal copy of Forgotten Hollywood Forgotten History. Best wishes on his performance on Monday. This entry was posted on Sunday, June 15th, 2014 at 12:08 pm	and is filed under Blog by Manny Pacheco. You can follow any comments to this post through the RSS 2.0 feed. Responses are currently closed, but you can trackback from your own site.